Igor’s first Psydoll CD – I Psydoll from 2004. After a few months buried under work Igor has finally got around to writing an update. Today, I’m just want to show off my Psydoll CD, which I picked up at the Artism Market in April when I got a chance for a chat with Nekoi Psydoll and the gang. Japanese companies (including S#NY, Mit#ubishi, Hit#chi, S#nyo and P#nasonic) usually use the word “DOLL” to name their production robots for military, business and home use. However, PSYDOLL (Psycho-Doll) are illegal robots manufactured and remodeled without proper licenses and with enhanced abilities unlike other “DOLLs”. DOLL products have become quite common in everyday life. However, since DOLL products can endanger humans, high security standards have been established among leading nations. On the other hand, the efficacy of PSYDOLL is questionable due to its illegal nature, which may result in serious accidents. In fact, 30% of recent fatalities in Japan were reportedly caused by PSYDOLL. Therefore the Japanese government prohibits illicit manufacturing and remodeling of PSYDOLL by severe penalties. Always an enjoyable band to drink to at a gig in Tokyo, or at the events they play during their many overseas tours. 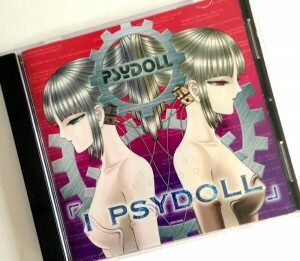 They have released a number of CDs over the years, but I really like the 2004 I Psydoll release as it is the first full CD and represents the bands original concept. If you are interested in finding more about these stalwarts on Japan’s electronic vanguard you can check out Psydoll’s homepage.